When The Game is on the line... - Together, We Make Memories! It's the fourth quarter, the clock's ticking and you're on the verge of your 300th win, something that's never been done before. Seconds count and the game is on the line. So whose number do you call? 602-248-0700, Esprit Decor Gallery! 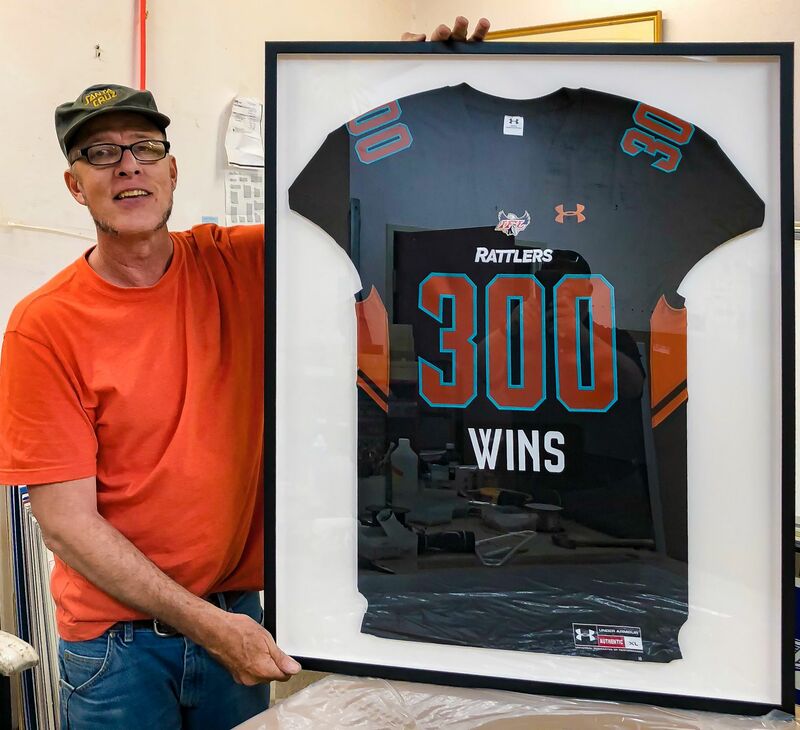 The six-time World Champion Arizona Rattlers were poised to accomplish a feat that had never been done in the annals of the IFL - three hundred all-time career wins. The feat would be impressive, and the celebration would be epic! In order for everything to work, the Rattlers called the equivalent of an audible at the line - a special teams play that had to work! They needed two 300 win presentation jerseys in shadow boxes...framed that same day. Unheard of, but what could we say? "You guys win the game, and we'll have the jerseys ready." And they did – and we did. Both plays were executed flawlessly, and the celebration was indeed, epic!